Q: Where can I define which one of the Headers to use? 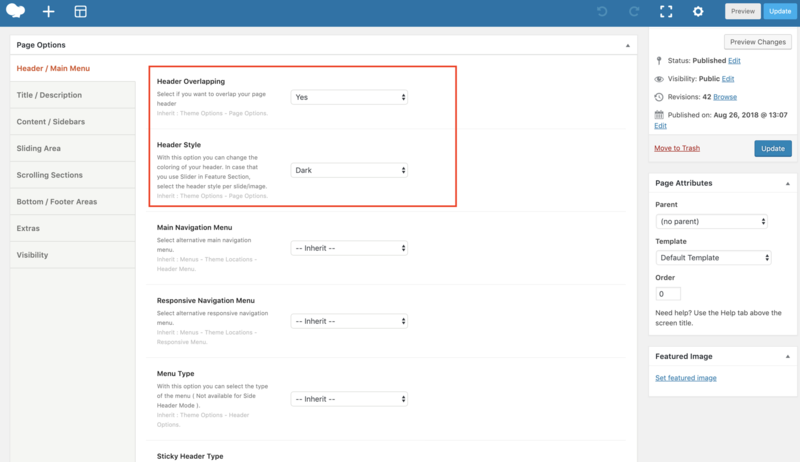 Q: What about Header Styles when I use the Feature section? 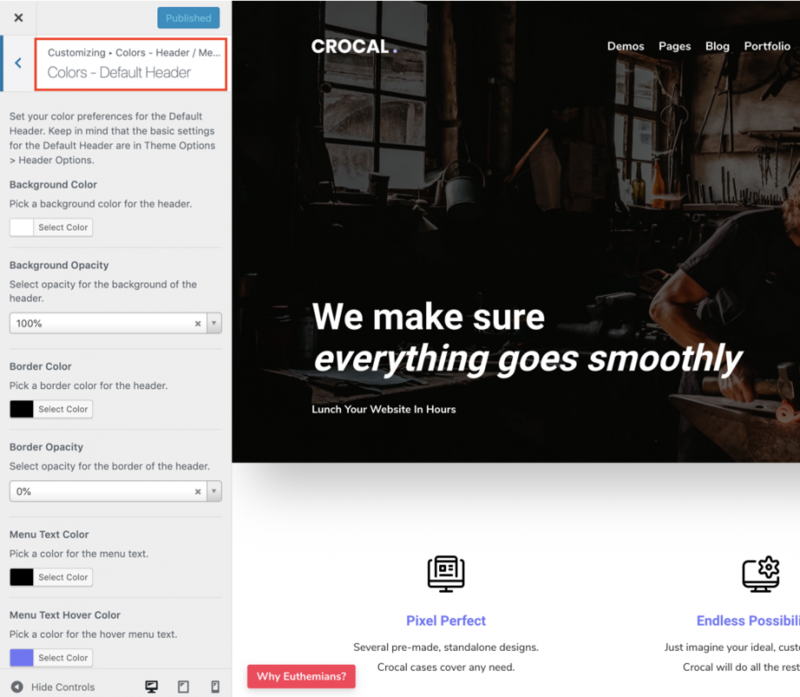 A: For feature title, image, video and map you will have the global Header style or the option you have set on this specific page (post, portfolio, product). Exceptionally in the feature slider you can set different header styles per slide. By this way you will have no visual issues because of the slide color background. Q: I am not able to change the background color of Light and Dark Headers. A: Light and Dark headers are fully transparent headers. You can have any solid color in the Default Header. Q: I have enabled the Header Overlapping but nothing has changed. A: It is always recommended to select between the Light and Dark header when you need Header Overlapping. You can enable the Header Overlapping globally per custom post type (pages, posts etc) and individually in the single post types. Q: I am changing the header colors under Appearance > Customize and I am not able to see any changes in the live preview. A: Double check that you are editing the same Header (Default, Light, Dark) with the one that you are checking i n the live preview. This is a common issue that can occur.